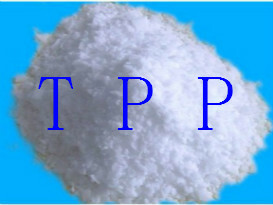 Triphenyl Phosphate TPP MSDS - ZhangJia Gang YaRui Chemical Co., Ltd.
TRACT. AFFECTS THE CENTRAL AND PERIPHERAL NERVOUS SYSTEMS. difficult, give oxygen. Get medical attention. clothing before reuse. Thoroughly clean shoes before reuse. lower and upper eyelids occasionally. Get medical attention immediately. may be used to keep fire exposed containers cool. Do not allow use water jet..
material. Keep container tightly closed. Keep in a cool, well-ventilated place. or coveralls, as appropriate, to prevent skin contact. possible. Maintain eye wash fountain and quick-drench facilities in work area. Evaporation Rate (BuAc=1): Not applicable. Conditions to Avoid: Heat, flames, ignition sources. Special Provistions for transport: Not applicable. If Triphenyl Phosphate TPP MSDS product is not what you want, we can be customized according to your needs, please send us your order to Email: sales@yaruichem.com , or click here to post your buying lead.